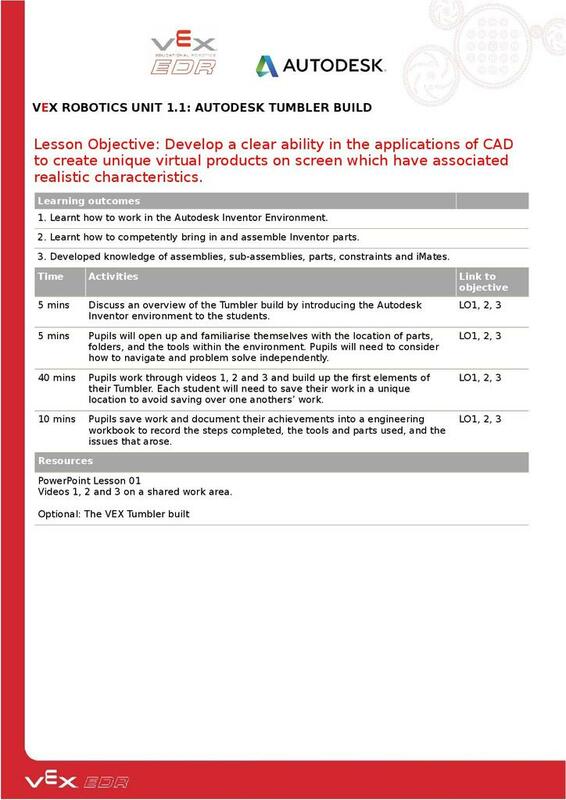 *Lesson 01 - Pupils will familiarise themselves witht the Autodesk Inventor environment and start to build up the first elements of their Tumbler. 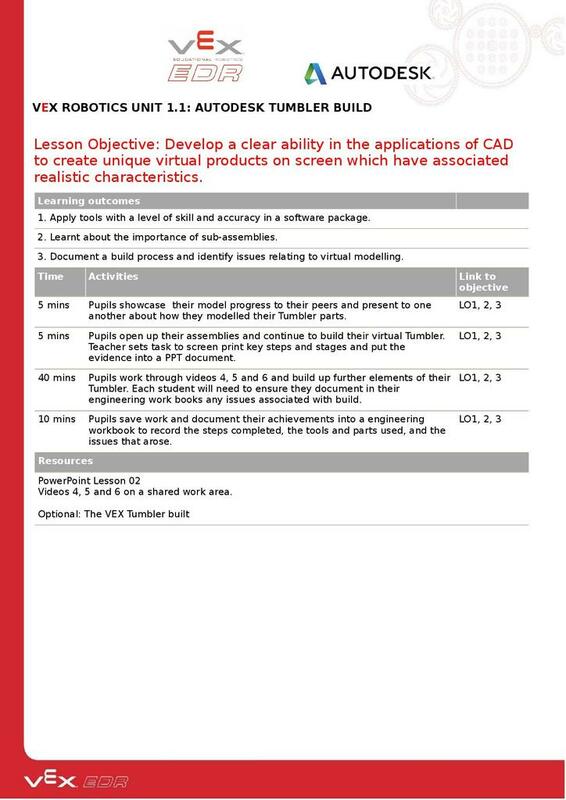 Pupils will use an engineering workbook to record the steps completed, the tools and parts used, and the issues that arose through out the entire project. 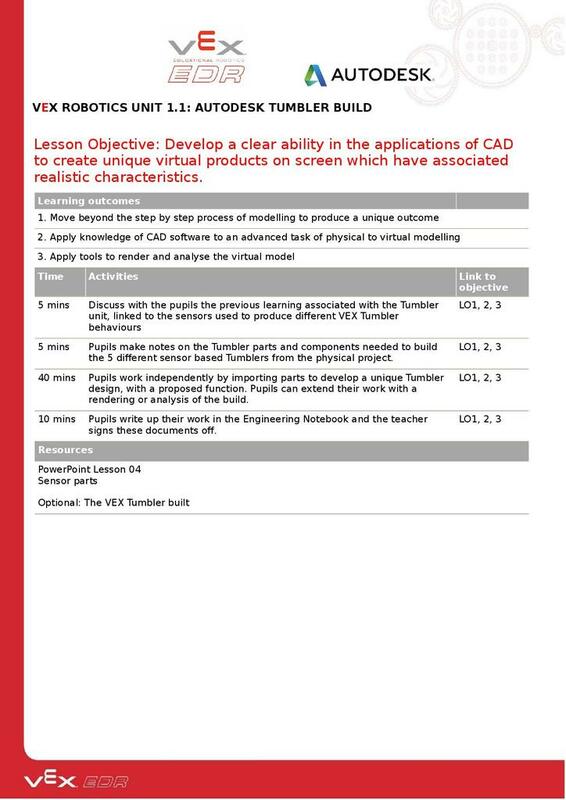 *Lesson 02 - Pupils will review their modelling achievements in pairs and share ideas on how to improve one another's modelling approaches and continue to further build the virtual elements of their Tumble. 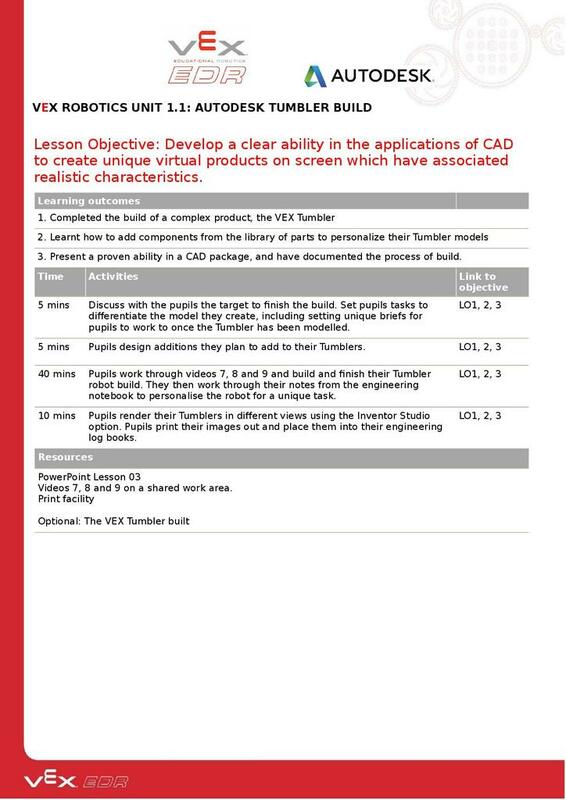 *Lesson 03 - Pupils will discuss targets to complete the build and start to design additions they plan to add to their Tumblers. They will then work to compete the Tumbler Robot build. 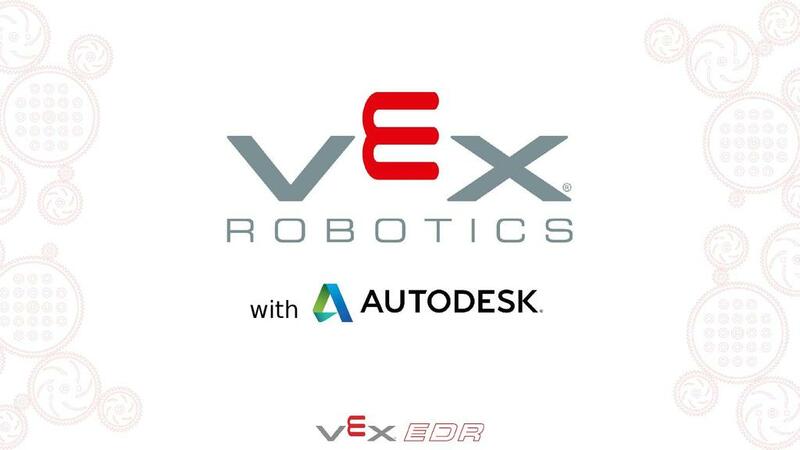 *Lesson 04 - Pupils will discuss with the the previous learning associated with the Tumbler unit, linked to the sensors used to produce different VEX Tumbler behaviours. 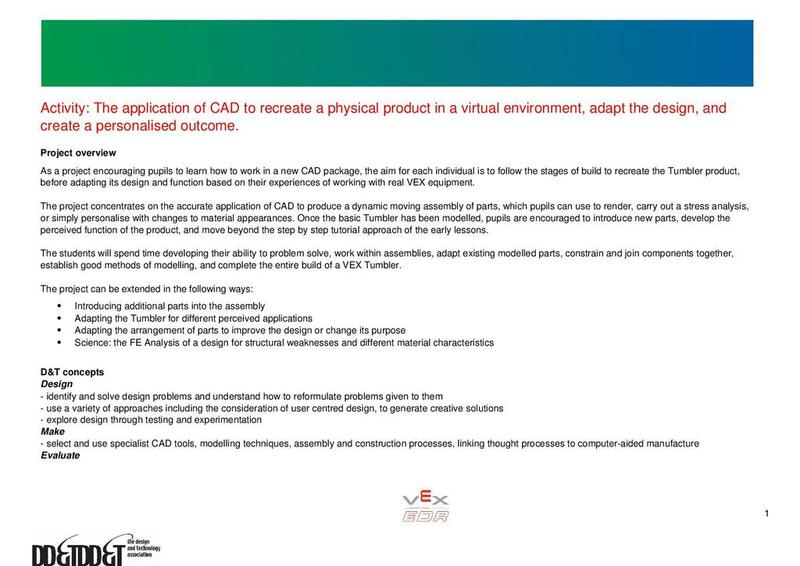 They will also make notes on the Tumbler parts and components needed to build the 5 different sensor based Tumblers from the physical project. Engineering notebooks will be wrote up for teachers to sign off.